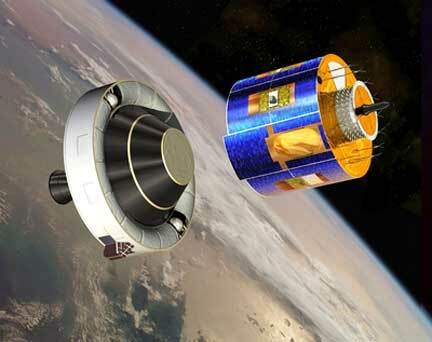 ...an Ariane 5 from Europe’s Spaceport in French Guiana, and after 11 days of LEOP (Launch and Early Orbit Phase) by ESA’s Centre, ESOC, EUMETSAT took control of the MSG-3 satellite operations. During the last 11 days, the satellite was moved into geostationary orbit, the various components which make up the satellite’s platform were activated and their functionality checked. This included a number of critical manoeuvres like the firing of the apogee motors, the change of spacecraft orientation and the unlocking of the SEVIRI scan mirror. After the successful handover, EUMETSAT can now begin commissioning the satellite and its sensors. Commissioning consists of a two-month phase for satellite check-out and assessment, followed by a four-month phase for imaging and product testing, including calibration and validation activities. The release of the first image generated by the SEVIRI imager on board MSG-3 on August 6th will be an important milestone.